I thought I would share my favourite places in Brighton, in case any of you happen to be in Brighton and at a loss as to where to head. I freaking love this place, so much so I have never bothered to try Terre A Terre. I love their Vegetarian menu, and it’s such a treat having such an amazing, broad choice of food. Being betrothed to a meat eater, we do tend to hit up regular restaurants more. 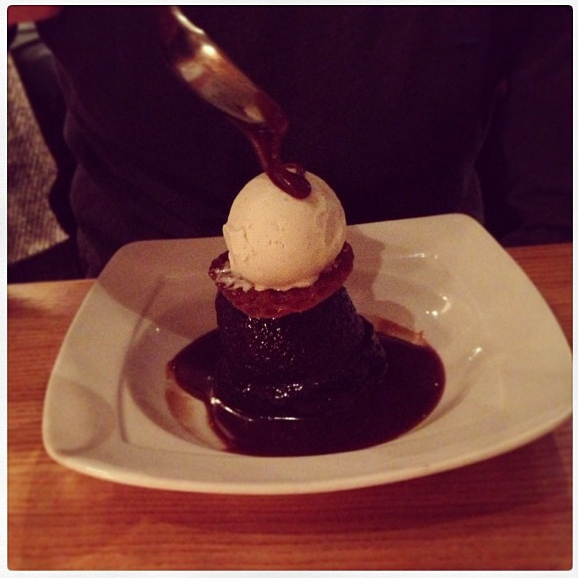 J is a bit of a fan of their Sticky Toffee Pudding – you can kinda see why! Cocktails, cocktails, my lovelies. 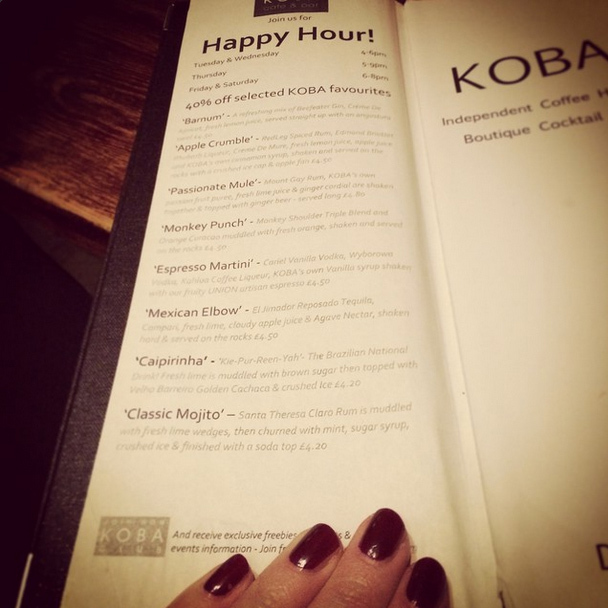 J and I went to Koba a little while back, in what must be a very Dry January, and we had the place to ourselves! This place is normally pretty buzzing, but we got to sit where we wanted super quick service, delicious happy hour priced cocktails, and then just a short skip home after. This here is an Apple Crumble, Super Sweet! 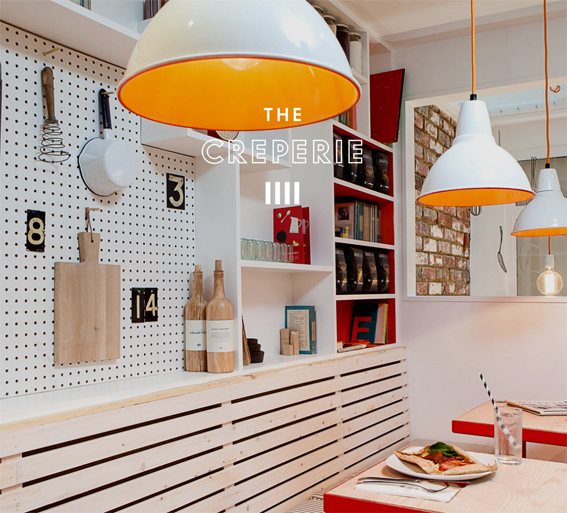 I snuck in here with the lovely Charlotte and Andy when they came to visit for New Years ( Yes, I’m sorryI spoilt my appetite for dinner that night) and the crepes were all that you need from a crepe, sweet, crips edged, filled with deliciousness. I had a Nutty Ella, and I wish I had photo to share with you, but I scoffed it too quickly! This place… this place has the most delicious cakes of anywhere I have had cake in Brighton; I have had a lot of cake from a lot of places. Also, I’ve yet to photograph a single slice… I always eat ’em too quickly! Their breakfast menu is also excellent, I had Welsh rarebit with Portobello mushrooms & soft Duck Egg last time I visited (though swapped my duck egg for scrambled egg: fussy!) and it was lush! I love Food for Friends!! Namul is one of my favorite places too!